For wildlife lovers, the chance to see exotic animals native to an international country is an exciting prospect. If you’re an animal-lover, heading overseas for wildlife tours and safaris to get your fill of gorgeous and impressive species could be just the holiday option for you. 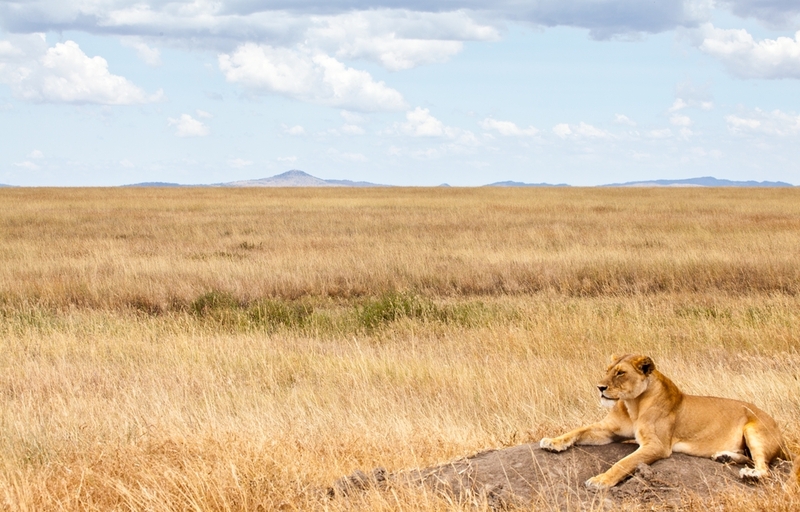 What better place to spend the ultimate wildlife holiday than the plains of Africa? The city of Johannesburg, located in South Africa, could be the perfect option for travellers looking to get a taste of the African plains. With more than three million people inhabiting the city, it’s a base for city life and urban attractions, while still in close proximity to a number of wildlife experiences and safaris. Take a bus or coach from Johannesburg into the famous Kruger National Park for the most spectacular tour and game viewing, courtesy of Wildlife Safaris. There is an abundance of creatures among the grasslands, water holes, and rivers of the 19,000 square kilometre park, which can be viewed up close from an open-top vehicle. Some of the species you might spot include elephants, leopards and buffalo, as well as the mighty lion. There are no cages between you and the animals, so it’s the ultimate wildlife experience – and should send a thrilling shiver through your spine. You’ll even get to embark on an after-hours drive – if you’re quiet enough, you might spot some nocturnal African residents such as hyena! An experienced guide will accompany you on your choice of safari, with options ranging from three to five day trips. It’s the perfect way to view animals in their natural environment, so you might see some exciting innate behaviours. If you’d prefer the option of viewing gorgeous wildlife from behind the safety of a glass wall, don’t miss the Johannesburg Zoo. Located in the northern suburb of Parkview, the zoo is open daily from 8.30am to 5.30pm. Here, you’ll see over 320 species, including endangered animals such as the white rhino and black and white ruffed lemur. Among the most exciting animals for any visitor will be the Nile crocodile, puff adder and brown bear. It’s a perfect day out for animal lovers, and you can even visit after-hours for a nocturnal tour or camp overnight with the animals – kids will love this opportunity. For a wildlife experience with a touch of luxury, the Askari Game Lodge and Spa is a great accommodation option. Located around an hour’s drive from Johannesburg, this luxury lodge is based on the 5,000 hectares that make up Plumari Africa Game Reserve. Get as close as you’ll probably ever get to lions, elephants and other African wildlife on one of the two daily scheduled game drives. The drives are set for the best animal viewing times during the early morning and later on in the evening. You can even get up close and personal with Askari Game Lodge’s elephants ‘Damara’ and ‘Nzewe’, and have the chance to touch and feed them – you’ll be awe-struck by their impressive, yet gentle presence. The lodge also hosts guided nature walks for those keen to explore on foot. Traverse the plains and discover birds and insects, and learn which plants the locals use for medicine! Johannesburg is simply wonderful for travellers looking for a roaring good time. Take your pick from one of the many options available and embark on a nature trip you’ll never forget when you head to this South African city – it will be wild!